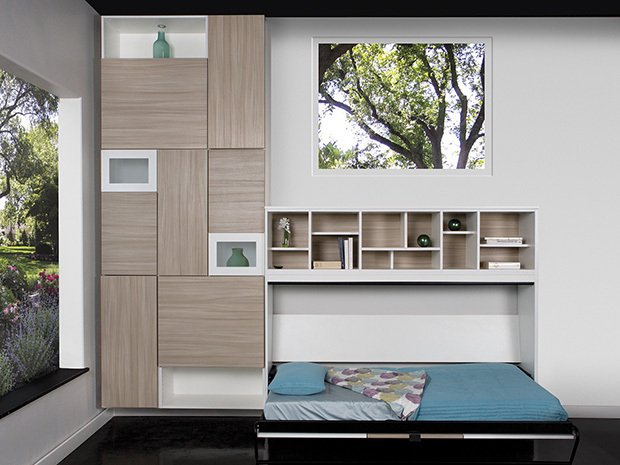 Beautiful cabinets, bed finishes, and shelving transform a space into a comfortable sleeping area when needed. 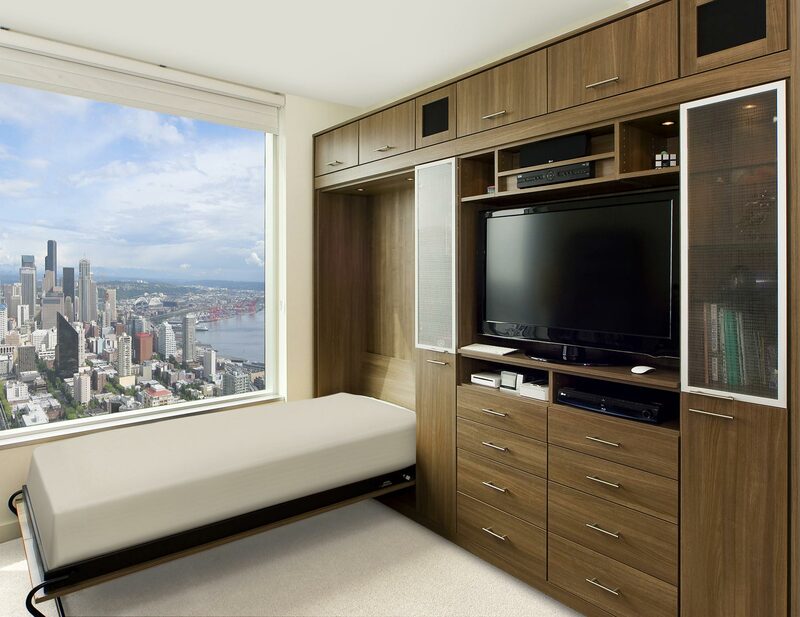 A well-designed Murphy bed respects the aesthetic and primary purpose of the room, allowing it to seamlessly serve two or more functions. 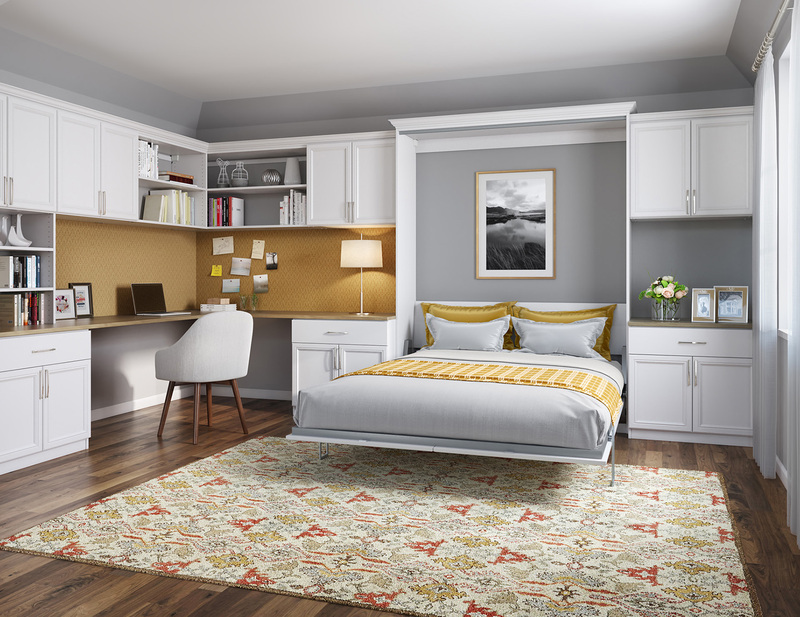 A bed that folds out of the wall will create a multipurpose room to accommodate out-of-town guests without interrupting the everyday functionality of your office space. 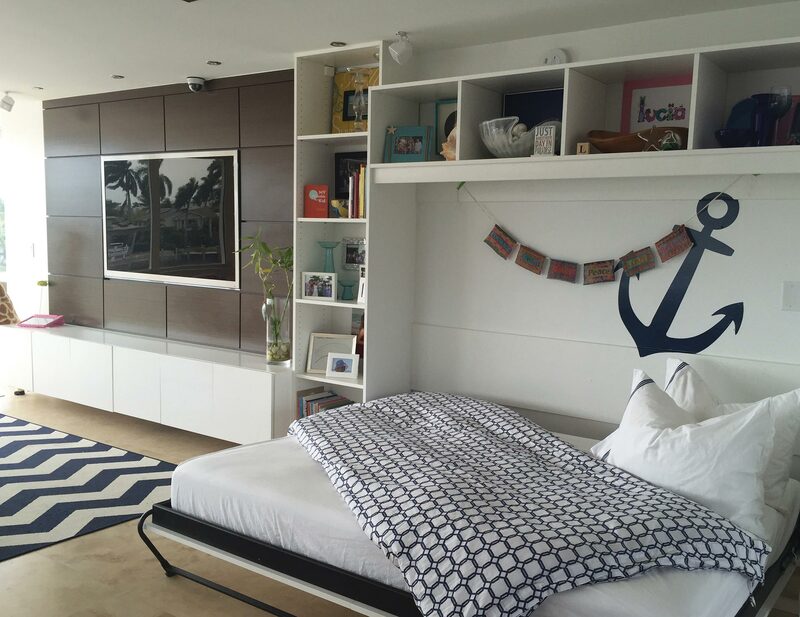 Decorative molding and trim options give the bed the look of built-in furniture, seamlessly integrating it into any space. 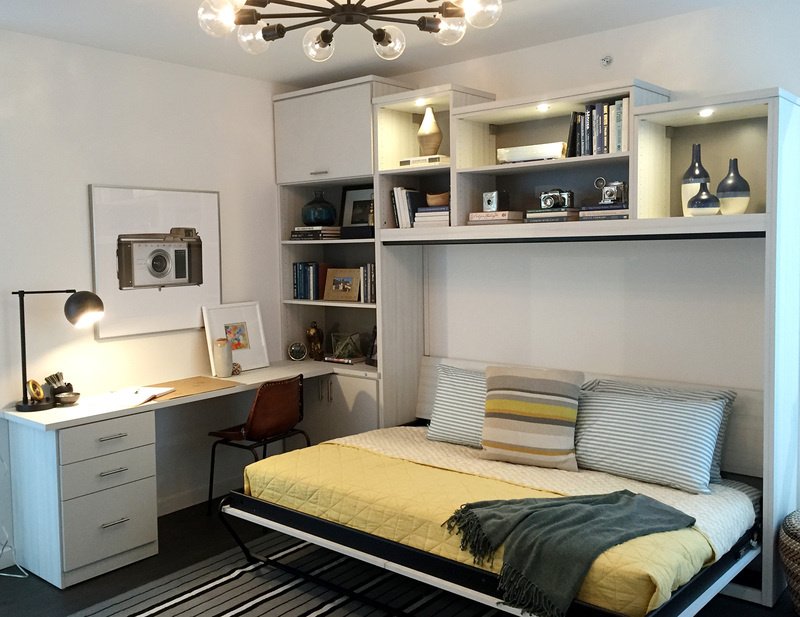 Combining storage with a murphy bed allows for polished organization and a comfortable place for guests. 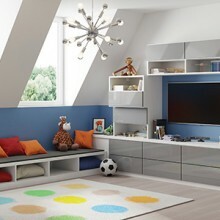 Orange and Green Parapan drawer fronts add pops of color. 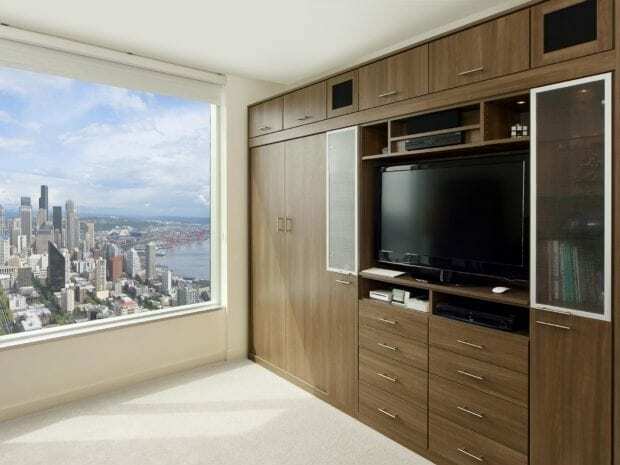 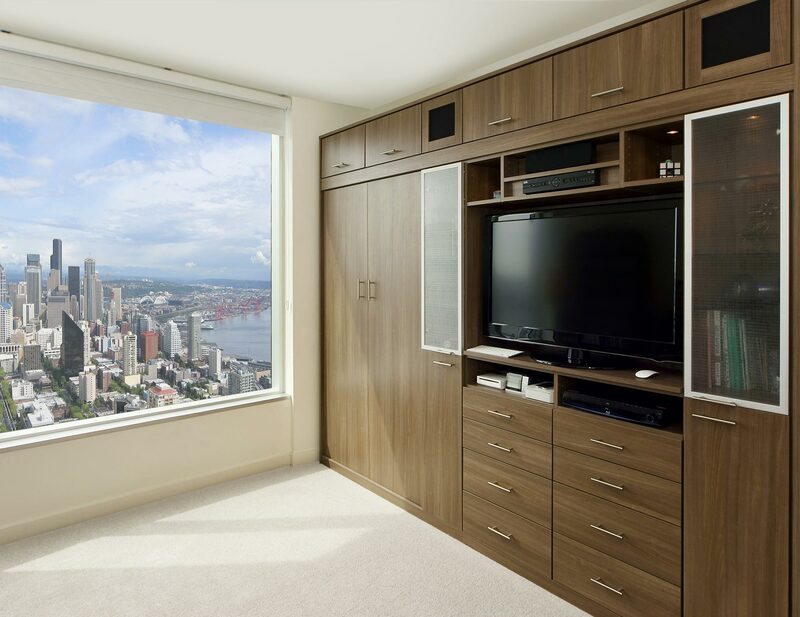 Making the most out of city living, this stylish media center incorporates a handy murphy bed with ample storage. 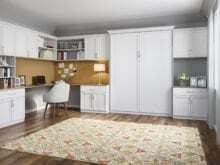 Multipurpose space serves two or more functions with a murphy bed that provides a sleeping area when needed. 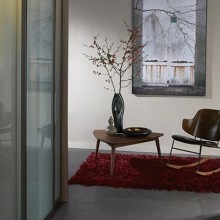 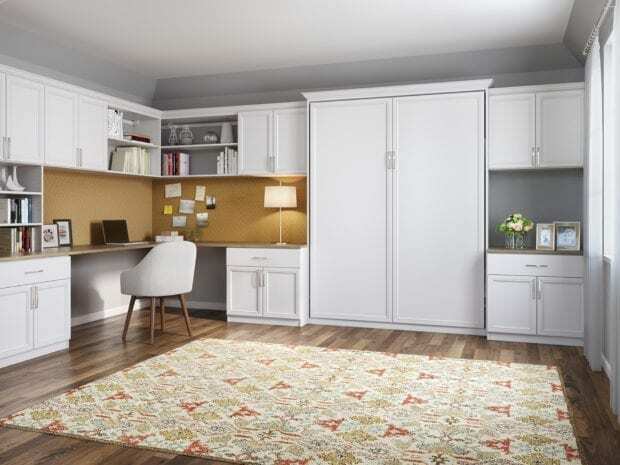 Blending office space with guest space, this elegant murphy bed is both functional and gorgeously designed. 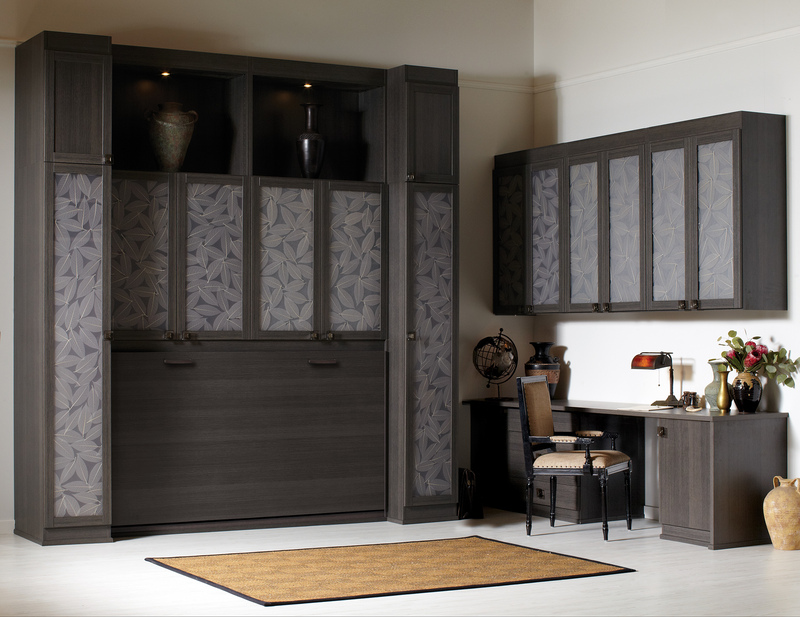 Lago® Milano Grey 5-piece Shaker fronts contribute to the monochromatic color palette. 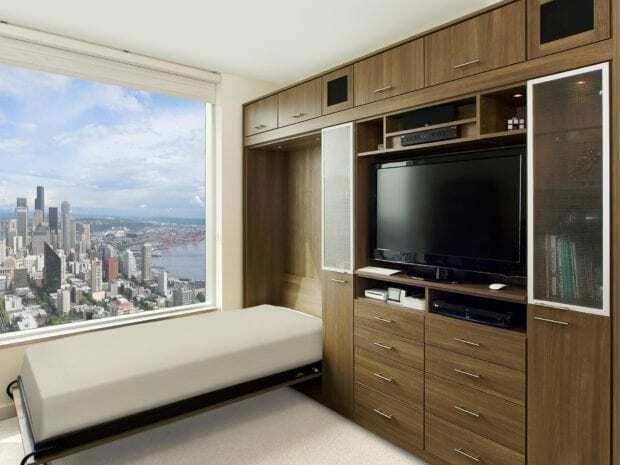 Side-tilt murphy bed provides sleeping area as needed. 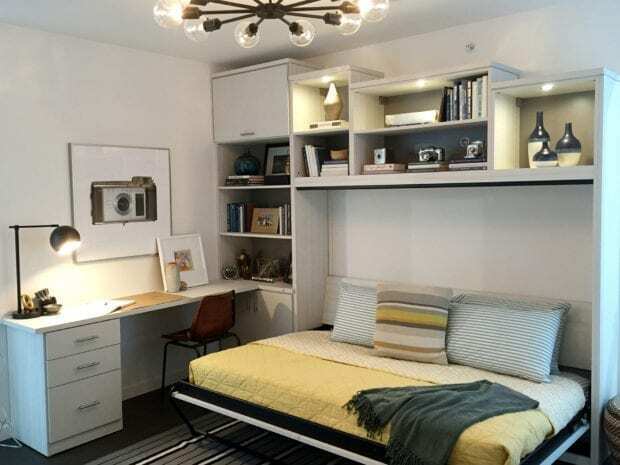 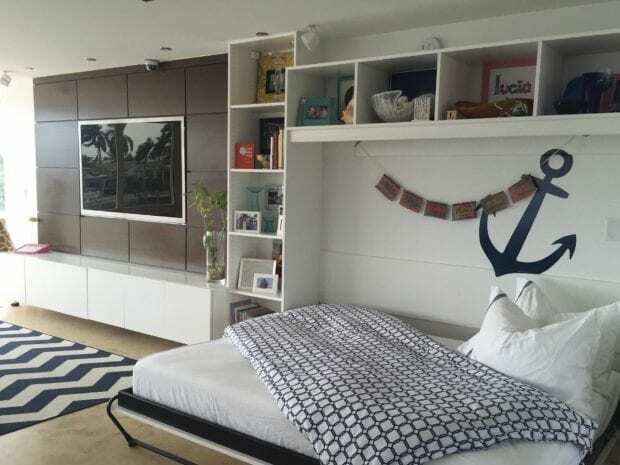 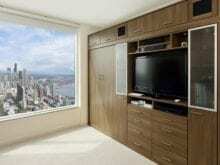 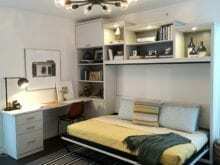 A stylish living space doubles as a bedroom with a well-designed murphy bed that also provides storage. 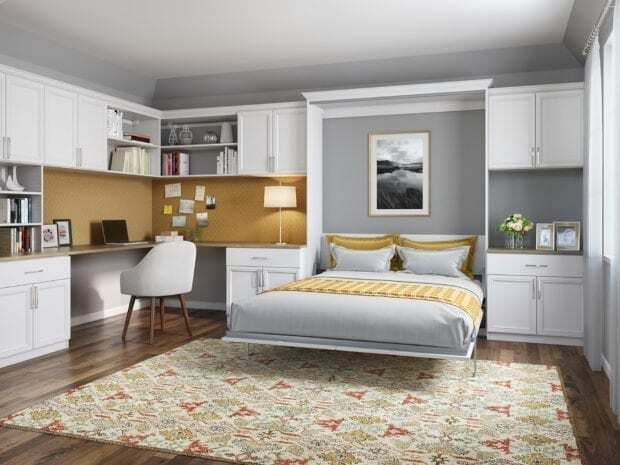 This murphy bed solution maximizes available wall space and enhances storage capabilities, blending utility with high-end design. 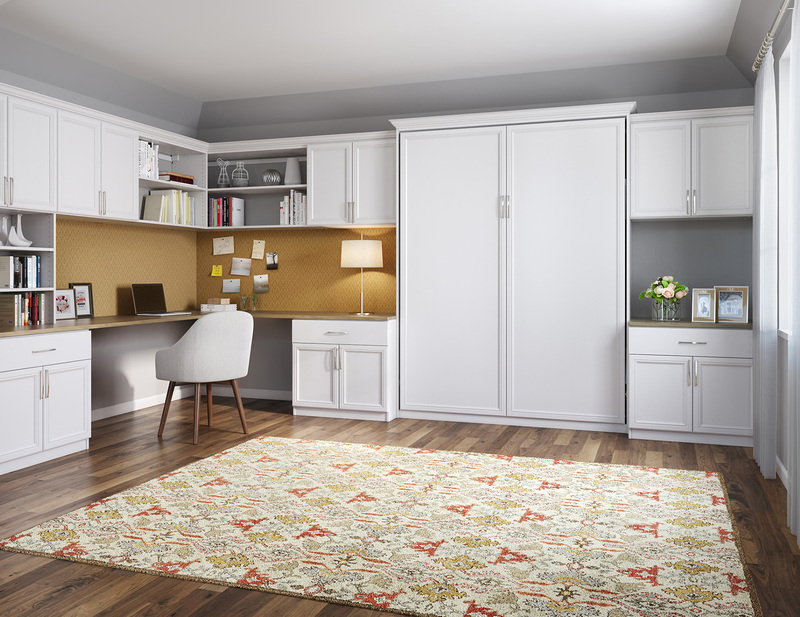 This small and stylish space is made ultra-efficient by combining an office, ample storage, and a murphy bed, for overnight guests. 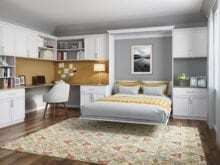 Learn about our bed options and add-ons for lighting, hardware, door and drawers.